Debbie is a professionally trained artist and teacher who lives in the mountains of Southern California. She is currently working with mixed media and using her drawing and painting skills with fabric to create textiles of the things she loves, especially family, animals, and nature. She enjoys sharing inspiration with others in the community who are finding their own voice through quilting. 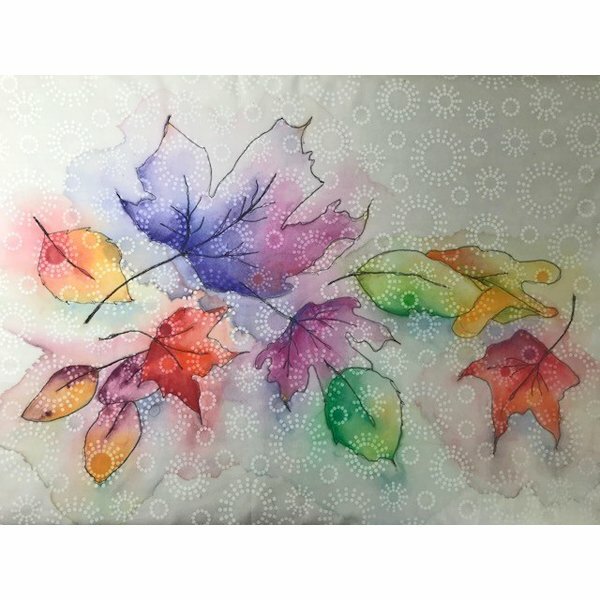 Learn how to use Inktense water color pencils on fabric, then use free motion embroidery for the outlines. Don’t worry—you don’t need to know how to draw or paint! Debbie will guide you through each step.